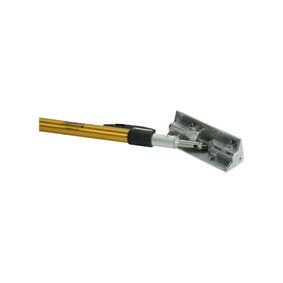 Rent a corner roller to quickly and accurately embed tape into internal or external joints to form a sharp angle. After applying paper tape, the corner roller is used to cleanly force out any excess joint compound. Hire corner rollers for as little as £0.13 per day. Rental terms start from 30 days and hiring with Gyproc Tools couldn’t be easier. Simply call 0115 984 9148 to set up a hire account if you’re a new customer, or login if you already have an account with us. What’s more, all hire tools are delivered and collected by our own courier services. Order before 2pm and you’ll get your tools the next working day, with all charges included in your price!